Email is a double-edged sword. It's a quick way to connect with your professors, classmates and coworkers, but at the same time, it's an overflowing inbox that can make even the most laid-back of us feel overwhelmed. Whether you are checking your personal or work email account, these seven tips are practical ways to achieve and maintain the elusive inbox zero. Don't forget to let us know your favorite ways to keep your inbox clean in the comments section below. Emails are essential in the office, so it is necessary to keep tabs throughout the day. Blocking off as little as 15 minutes three times a day is a simple way to keep your inbox under control. Use this dedicated time to send out emails and file messages to the appropriate folder. Remember to keep your email program closed and to turn off your mobile notifications outside of your usual email check-ins to avoid distractions. When you check a new message as soon as it arrives, you probably won't have the energy or time to properly deal with it. Make sure that when you click on an email, you either reply, archive or delete the message. Don't let the email just stay there to pile up, wasting your time and energy. Remember, it takes a little while to get into this mindset, but when this becomes a habit, you will love the results. If you're competitive by nature, then you'll enjoy this fun option. To play the Email Game, you compete against a timer to make it through all of your inbox messages. This game is especially fun when you have avoided a lot of emails and they've started to pile up. Boomerang is a free email tool that allows you to schedule when you receive and send emails, such as every few weeks or even every few hours. You can use this tool as a way to archive mail that you want to read at a later time or set follow-up reminders for your outgoing messages. When you don't receive a response back from someone, then Boomerang will remind you to follow up. This program also offers a read receipt feature, so you know if someone has opened your email. Boomerang is practical for reminding you about your travel plans the day before a trip and for sending out holiday and birthday messages when you have a spare moment. Rather than opening emails and scrolling to the bottom to unsubscribe, reduce your inbox numbers by registering for Unroll.me. The free service gives you a quick snapshot of all email subscription lists you are on, and allows you to unsubscribe from any mailing list with just one click. The service as allows you to "roll up" emails into a weekly digest email, so you can still have access to your shopping discount codes without worrying about a full inbox. If you're constantly sending the same email response over and over again, then save time by creating a canned response to help your precious time. You can insert your canned response and then customize it accordingly. Everyone likes when someone gets to the point quickly. Keeping your messages to five sentences or less allows you to do that effortlessly. If you need to send a longer reply, then go ahead and give that person a call or walk down to their office and talk to them in person instead. This hack is a great way to save time and allow you to focus on more pressing issues in the office. Have you ever reached inbox zero? What are your favorite ways to keep your email inbox clean? Whether you are checking your personal, work or school email account, these seven tips are practical ways to achieve and maintain the elusive inbox zero. 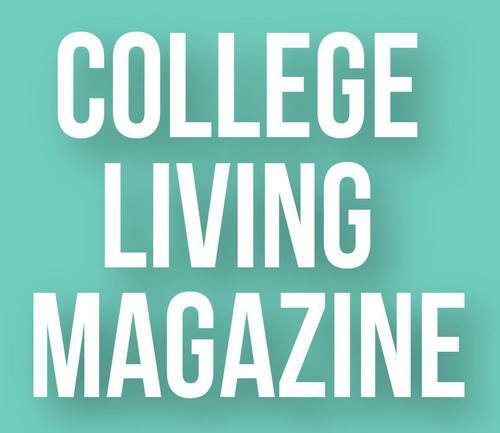 College Living rounded up five amazing women from various industries who join the group of LinkedIn Influencers, a powerful array of thought leaders who are known for their career expertise, to help inspire you to embrace your inner #GirlBoss. Career expert Jane Buckingham shares five practical steps to overcoming the most common interview mistakes. Take notes ladies! Jenna Lyons shares how you can discover your passion and the best advice she's ever received. A social media expert shares why it matters to protect your online reputation. Nicole Saunders is the founder and Editor-in-Chief of CollegeLivingMag.com and a recent graduate of the University of Miami. She started College Living as a homework assignment her freshman year and officially relaunched the site as her senior year capstone project. When she’s not blogging you can find her on an early morning jog, snapping flicks with her DSLR camera, and covering pop music for Billboard.com. Follow the Florida native’s California adventures on Twitter and Instagram. First time here? Check us out!